This performance is presented in celebration of the 50th anniversary of the Joint Music Program of Case Western Reserve University and the Cleveland Institute of Music. Funded in part by a grant from the John P. Murphy Foundation. 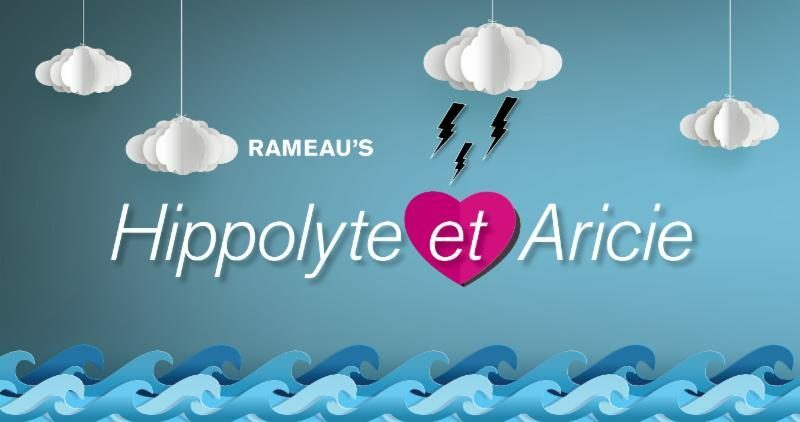 Jean-Philippe Rameau’s sumptuous opera Hippolyte et Aricie takes us into a magical world of heroes and lovers, goddesses and monsters, forest creatures, sailors and hunters. Its rich orchestration and thrilling vocal writing tell a compelling story (based on Racine’s Phèdre) of the young lovers Hippolyte and Aricie kept apart by their devotion to the goddess Diana and by Phèdre’s illicit love for her stepson. Co-produced by CIM and CWRU, the opera is staged in period style with baroque dance and a baroque orchestra. All performances include projected English text. Purchase tickets, here. For more information, call 216.795.3211. The Hazel Drive entrance is open during regular business hours, and accessible to concertgoers and patrons. The East Boulevard entrance is open one hour before each concert. Paid parking available in the Ford Ave. parking garage or at the meters along Bellflower Rd. and East Blvd.